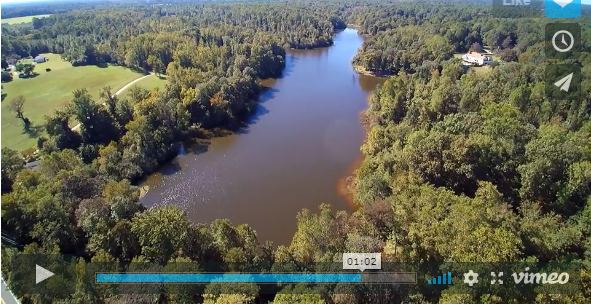 Robins Mill Pond – Hogge Real Estate , Inc.
52 +- acres! Great for Development! Own your Own 20+ acre Pond in addition to the 52 acres! Excellent Site for Family Compound…or Gated Community! Development Opportunity! Road Frontage! 5 parcels totaling 52+ acres. Soil Studies, Wetland Delineations, and Army Corp approval! Plats available! Take a Look! Take a look from above and see what this beautiful property has to offer! 52 acres of prime Gloucester real estate PLUS a 20-acre private pond offer fabulous residential development opportunities within 5 minutes of Gloucester Main Street. This unique first time offering in 5 combined parcels has it all; beautiful views of historic Robins Mill Pond, natural wooded preserves, grazing space for horses, habitats for hunting and fishing, extensive state road frontage and possibilities for further subdivision to support at least 10 single family homesites. Or, think BIG and plan for the FUTURE! With creative site planning and water and sewer connection @ 1 mile away at the intersection of TC Walker and Rte. 17, this beautiful and conveniently situated spot could be the perfect location for a harmonious combination of single family homes and or upscale condominiums.